The minute I picked up the newspaper today, there I was on the friggin' front page. They had some other dude's face photoshopped onto me. 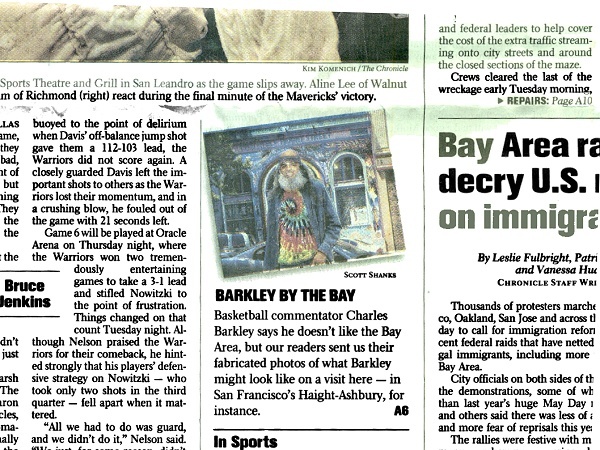 This is on the front page of the San Francisco Chronicle, the city's biggest newspaper. It was part of this article. Although I'm on Haight Street all the time, the photo was taken at Death Valley two years ago. 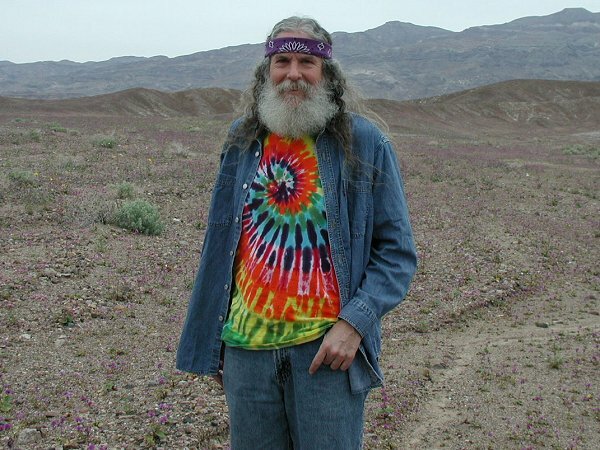 My web logs show it was found by someone who searched Google Images for "san francisco hippie" from this place, and the newspaper credit leads me to believe it was probably this guy. Do I care? Not in a negative way. Hell, I'm flattered. 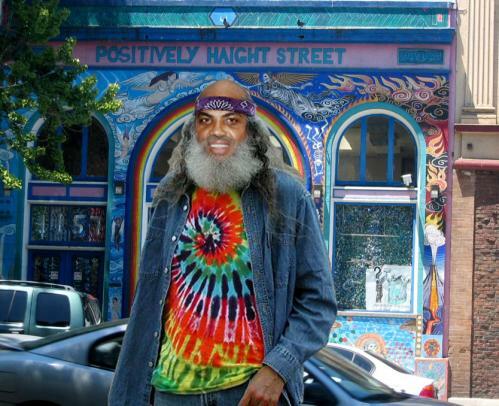 That someone thought I was a prototypical hippie and San Francisco's largest newspaper agreed so far as to put me on their front page tells me that, when it comes to achieving my "look", hey, I have arrived!